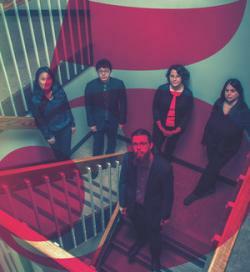 With funding from New Music USA, modern chamber ensemble fivebyfive has commissioned and will be premiering a new works by Andrea Mazzariello, Jung Sun Kang, Jonathan Russell, and Edie Hill inspired by the stained glass artwork of Judith Schaechter. Our good friends at Parma Recordings and The Crossing (Donald Nally, conductor) are gearing up to release a compilation CD of choral works by Edie Hill, Gregory W. Brown, James Shrader, Bruce Babcock, Jonathan Sheffer, and Christopher J. Hoh entitled Evolutionary Spirits. 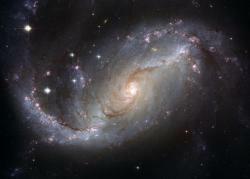 Among the featured works are Edie's "~Marvellous Error!~" and "Poem for 2084" (from which the title of the CD is taken). 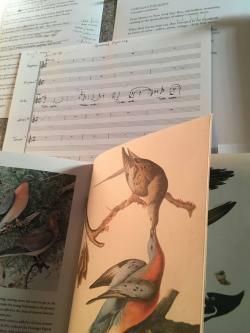 Edie Hill has recently begun work on a new commission for frequent collaborator The Crossing (Donald Nally, conductor). The new piece will be an extended choral work centered on extinct and endangered bird species and based on the poetry of Holly Hughes and Katie Ford. The piece is set to be premiered December 20, 2019 by The Crossing as part of their The Crossing @ Christmas concert series. In July, I went to Malvern, PA to work with The Crossing. We recorded two choral works for a compilation CD with PARMA Recordings. Stay tuned for details! Working with this choir and conductor, Donald Nally is a joy! 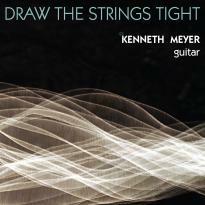 Kenneth Meyer's new CD, DRAW THE STRINGS TIGHT was released on May 26, 2017 through Innova Recordings. The CD features music by Piorkowski, Ernste, Henze, Jones, Scherzinger, and Edie's four-movement work for solo guitar as the title work. "Draw the Strings Tight pulls together a range of new music composed for the acoustic guitar. It features premieres of newly commissioned musical discourses on love, reflections on the nature of memory, the search for truth in the many voices of reality, and meditations on sense and enjoyment. The album title is also an evocative phrase that reflects the challenges facing a composer, performer, instrument, and listener, as they work together to realize something of substance, meaning, beauty, and truth." 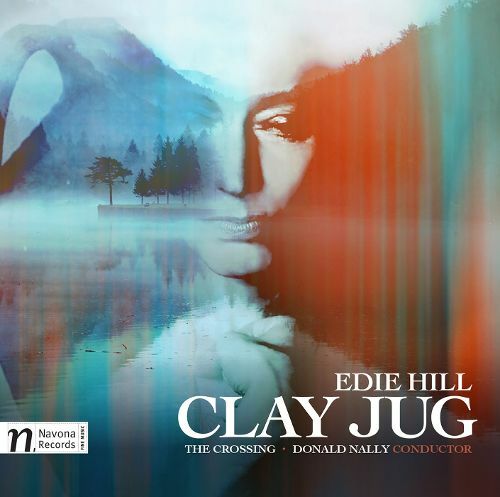 Edie Hill: Clay Jug, recorded by The Crossing under the direction of Donald Nally, was released on February 10th of this year by Navona Records. The recording has been very well-received since its release. More praise for Edie Hill: Clay Jug can be found in the Reviews page. I have a new Youtube page, and I invite you to visit and subscribe! Here you will find videos of many of my works, including playlists grouping together works by instrumentation. Follow the link to visit my channel, and take a listen to the most recent additions "A Little Lovely Dream" and "Invocation"! 2016 has been a busy year for Hummingbird Press so far! 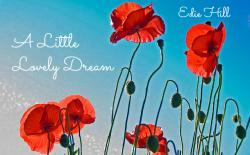 Over the past several months, Edie has been busy preparing for her recording project. This past week, Edie traveled to Philadelphia, PA to record her CD, "Clay Jug", with The Crossing and PARMA Recordings. She had an excellent time working with the choir and instrumentalists, and recorded in the church pictured on this post. The CD is set for release in 2017. For more information about this project, visit the "Clay Jug" Fractured Atlas page. Edie's music was performed all around the U.S., and even in France and the Netherlands. Check out Edie's new Youtube page! Edie's art songs were recently featured at the NATS Convention in Chicago, and we invite you to watch the most recent additions to her Youtube page : Between the Limbs, Music and The Giver of Stars: Six Poems of Amy Lowell. In August, Edie will be participating again in the Source Song Festival. Additionally, her song cycle Between the Limbs, Music will be performed by Source Song Festival Duo Alumni, Anne Agresta Dugan and John Gilmour, in their recital in Newark, DE. The Valborg Ensemble will perform "The Bells" and "An Illuminated Transience" on their tour throughout the Netherlands in September and October. Hummingbird Press is excited to announce upcoming events happening later this summer and early fall! In August, Edie is participating in the Source Song Festival, where she’ll be coaching two of her song cycles for the MN Duo program. Her music will be performed at the festival on August 7. For more information, click here. On November 5, the Schubert Club will host a Courtroom Concert including the world premiere of Edie’s newest song cycle, Rincón del cielo, performed by tenor Gary Ruschman and guitarist Kristian Anderson. Rincón is a cycle of fourteen songs based a suite of 14 poems of Federico García Lorca. Edie is excited to release In Winter Dark for SATB div., which will be available for purchase later this summer. In Winter Dark was premiered in May 2015 by the Plymouth Congregational Church Senior Choir under the direction of Philip Brunelle. You are warmly welcomed to listen to new releases for choir, We Bloomed In Spring (SATB, 2014) and Cancion de el alma (SATB, 2013), now available for purchase. Keep coming back for updates!